How does an impoverished teen mom turn her life around and create the life of her dreams? 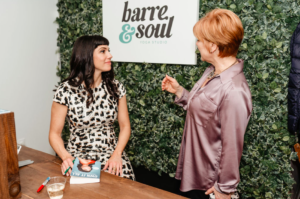 In our exclusive interview with Ogunquit, Maine native and founder of Barre & Soul, Andrea Isabelle Lucas shares her unique personal story to inspire others in her brand new book, “Own it All”. I’ve been a bookworm since I was a kid and have always wanted to write a book of my own; it was a major bucket-list item for me! Years ago, I became a barre and yoga studio owner because of my drive to help empower women. I have so much to say to the women in our studios, and while I try to infuse every Barre & Soul class with a positive, feminist message, I had so much more to share. This book gave me the chance to do that. Could you describe what your book is about? 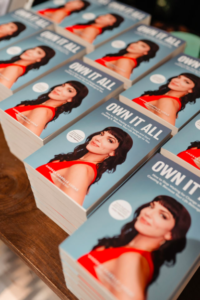 Own It All is designed to encourage women to stop waiting for change and start creating it yourself, because your life belongs to you! You’ll read about style, relationships, career, goals, health, and even legacy, which will help you step into your power and full self-expression. I share my story from broke teen mom and domestic violence survivor, to multi-million-dollar business owner. The book includes interviews with other badass women, workshop pages, and a variety of actionable material for you to use right away! What are some inspirations for you in writing this? 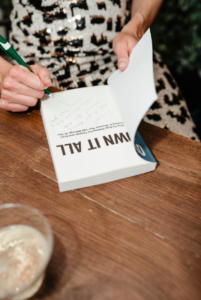 I’m inspired by some of my favorite authors, such as Steven Pressfield (The War of Art), Danielle LaPorte (The Desire Map) and Maya Angelou (The Heart of a Woman), who all used their personal stories to express the messages they needed to share with the world. What do you hope people will take away from reading your book? Something that helps me in my own journey is, “take the biggest risk you can stomach for today.” Today’s small, scary step may not look overly impressive at the beginning, but each baby step adds up. As we challenge ourselves and grow, our confidence naturally improves, and we begin to feel more comfortable taking on bigger challenges. This notion is what allowed me to go from being broke, relying on food stamps, and feeling terrified to get up and speak in front of a small barre class, to owning multiple barre studios and writing a book! I believe this method can work for all of us. 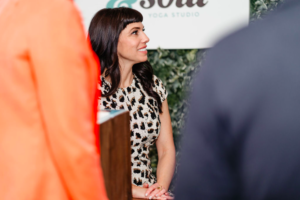 Andrea Isabelle Lucas is the founder of the award-winning Barre & Soul® studios, with 5 locations and counting, and Barre Guild Academy, an online fitness certification program. As a women’s empowerment speaker, she has shared stages with Michelle Obama and Billie Jean King. 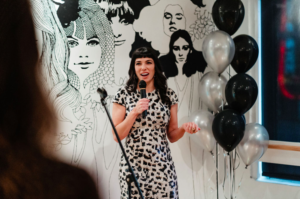 She is a feminist writer who has appeared in Forbes, HuffPost, and Entrepreneur, and she is the author of “Own It All: How to Stop Waiting for Change and Start Creating It. Because Your Life Belongs to You”. Photos by Steve Michalak Media.